The first phase of Lok Sabha Elections 2019 has started today (April 11) and many of them have stepped out to cast their vote. The Tollywood stars who have already exercised their voting rights have urged their fans as well to cast votes. 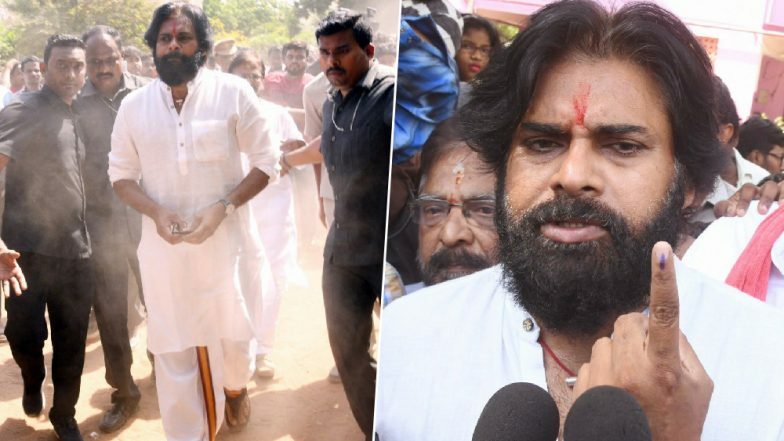 Pictures of Telugu actor Pawan Kalyan has flooded on the internet when he went to cast his vote in Vijayawada. After casting vote, the JSP Chief also opened up about the Electronic Voting Machines (EVMs) not working. Lok Sabha Elections 2019: Tollywood Stars Jr NTR and Allu Arjun Casts Vote in Hyderabad (Watch Video). Tollywood stars Allu Arjun, Jr NTR, Amala Akkineni and many other south stars have cast their votes. They have also appealed to their fans to go out and cast votes for the Lok Sabha Elections 2019. Stay tuned for further updates.